It’s curious that some scientific plant names can be changed and no one seems to mind, while other changes are heartily resisted by gardeners as well as by many plant book authors and nurseries. 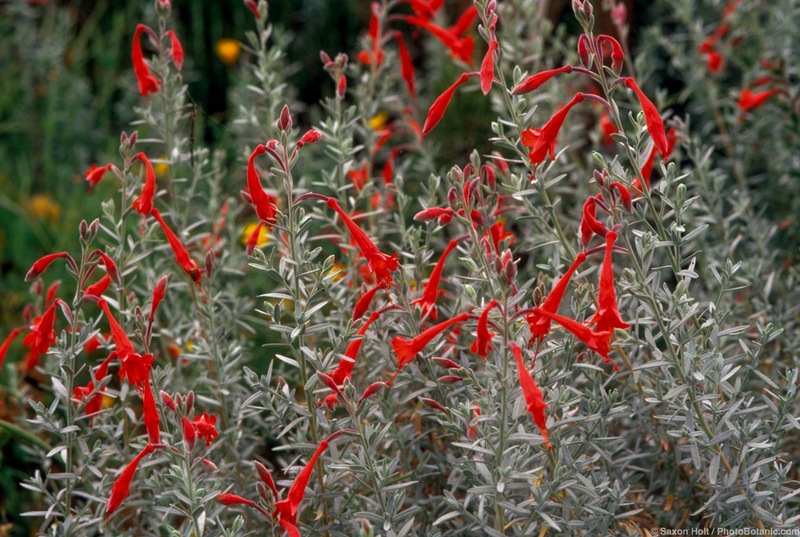 California fuchsias were known and grown for so long as Zauschneria, their former scientific name, that it took years for some people to call them by their current scientific name, Epilobium, in part perhaps because zauschnerias are horticulturally so different from other epilobiums, or fireweeds. 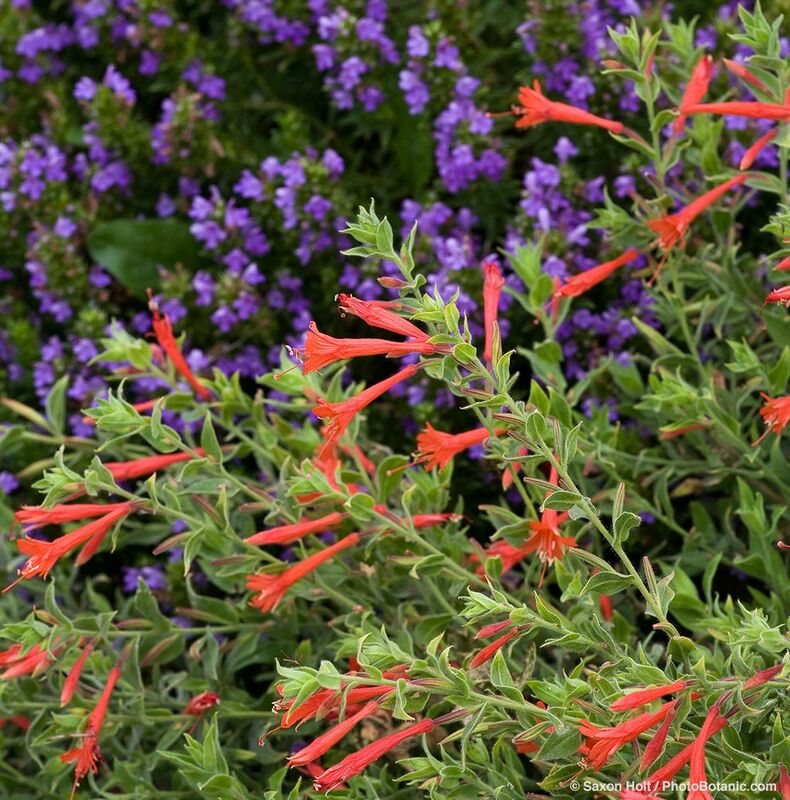 A variable group of plants, California fuchsias are matting, mounding, or shrubby native perennials with green to grayish green to gray or almost silvery white, often hairy leaves. Tubular flowers, adored by hummingbirds, are brilliant red-orange, almost scarlet, to coral, pinkish, or white in summer through fall. 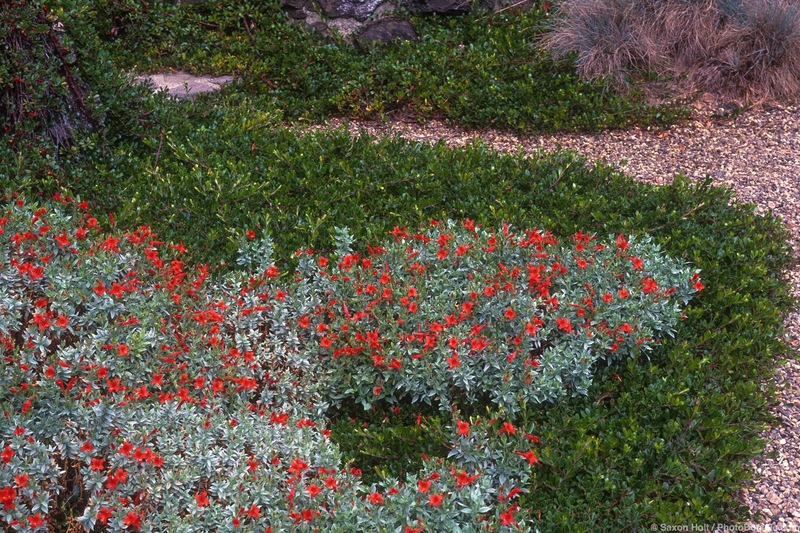 Several named varieties of California fuchsia are widely available and grown in western gardens. They take full sun to light shade, good drainage, and little water. ‘Everett’s Choice’, a few inches tall and spreading several feet wide, is a good choice for cascading over walls. ‘Select Mattole’, another wide-spreading ground hugger, has silvery gray leaves and bright red-orange flowers. ‘Solidarity Pink’ is a bit over a foot tall and three feet wide with pale green leaves and soft pink flowers. ‘Catalina’ is shrubby, vigorous, up to four feet tall, with soft gray leaves and orange-red flowers. ‘Silver Select’ is an upright plant, about three feet tall and wide, with silvery leaves and red flowers in fall. California fuchsias tend to grow rangy over time without fairly hard pruning back. Many are dormant to semi-dormant in winter, which a good time to renovate by pruning. Plants spread by rhizomes or by seed, but can be controlled by timely removal of new plants. This entry was posted in perennials and tagged california native, perennials by Nora Harlow. Bookmark the permalink.